As you walk down the busy streets of Chicago, you can’t help but to notice all of the fly and stylish melanin of the of Windy City natives that rep the Chi. 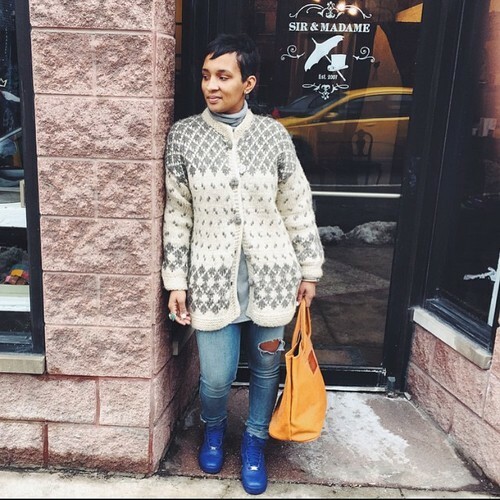 Proving that there are levels to the swag that the city carries, proudly, it is no wonder that Autumn Merritt, an entrepreneur and business woman, was able to flawlessly build onto the beloved essence of the Chicago Fashion culture. Founding Sir & Madame boutique with her husband Brian Merritt, back in 2007, their store sits at the heart of the downtown area and offers up some of the best fashion finds for men and women. Mrs. Merritt isn’t new to the game. In fact, she’d started in retail at the young age of 16 and hasn’t looked back since. Through gaining mentorship, as well as community partnerships, and becoming a validated voice for her community, she and her husband have dedicated their work to staying rooted in their vision for the city, which suffers from gang and gun violence, as well as poverty in the African-American communities of the south side. Sir & Madame jumped on the scene in 2007. What were you doing before that? Prior to opening up our store, I was managing and buying for a local boutique. I’ve always had a love for retail and in the beginning of my career, I focused on a lot of retail and marketing. I was 24 when we opened up the store. Having previous knowledge of the business was key because I knew all sides like buying, wholesaling and even the management. The opportunity presented itself for us to begin a partnership with the Brooklyn Circus in New York and that was like our entry point to dive into the Chicago market. We gave their brand exposure to our contacts in Chicago and it gave us a voice. My husband was working real estate at the time and I had just got fired from the store I was in but it was a blessing. I knew that I could now have the peace and freedom to do all the things I had envisioned all along. Did you have a lot of peace after leaving the boutique you worked for? I did. When this opportunity presented itself I felt like God was telling us to explore it. You don’t always know what you are called to do but when it reveals itself you know for sure. Many women today struggle with finding their own voice in their style. How did you find yours? In terms of finding my own style, I guess it’s something that’s just innate. I’ve always been one to march to the beat of my own drum and I really think it comes from being comfortable with self. You have to know who you are. In a sense, you can put on anything but if you rock it with confidence and no apologies then people instantly feel that. My parents were big influences and always supported my freedom of dress too. You have two beautiful children and have maintained such a unique look. What can mommy entrepreneurs do to upgrade their style and take care of themselves after pregnancy? It’s so easy to get lost in mommy life. For me, I describe my style as easy going and classic. So for example, I can wear t-shirts and jeans or skirts with my trusty riding boots all season long and feel good about it. That being said, going into parenthood with that easy take on style definitely carried over into actually being a parent. I think that you gain a certain level of confidence after you have kids. If you can go through that you can do anything so I think it’s best to have that approach when it comes to confidence and style. What’s it like running Sir & Madame with your husband? At this point, we have time under our belts. Being 10 years in, we are finally finding our stride that allows us to have a nice balance between work and life. I believe that also came when we identified our roles. Once we laid out that I handle retail and marketing operations and he handles the product line management, that easily funneled positive communication for us. Looking back to the beginning, what is something you wish you knew when starting the business? I would say to make sure you have a strong foundation opening up. You need to set in place a good financial plan, and because we were so young we were learning as we go. Definitely have those business conversations from the jump. Lately, it seems that entrepreneurship has become the “it” thing. How can style entrepreneurs prepare for the hard work that goes with it? You truly have to pay your dues and know your limitations. How hard are you willing to work? It really takes discipline and the experience to work under someone who you may not even care for just to understand the industry and what it takes to make this work. Building relationships and mentorship is key. Be as direct as possible when speaking with people to learn your business. But on the flip side, understand that as you get older it’s okay to put out the money to get the advice you need. 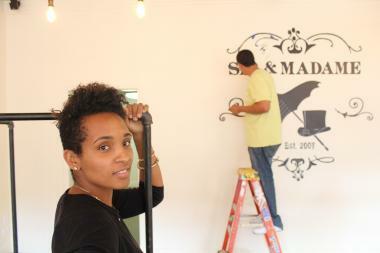 To keep up with Merritt and the Sir & Madame brand, you can visit their website or follow on social at @sirandmadame.